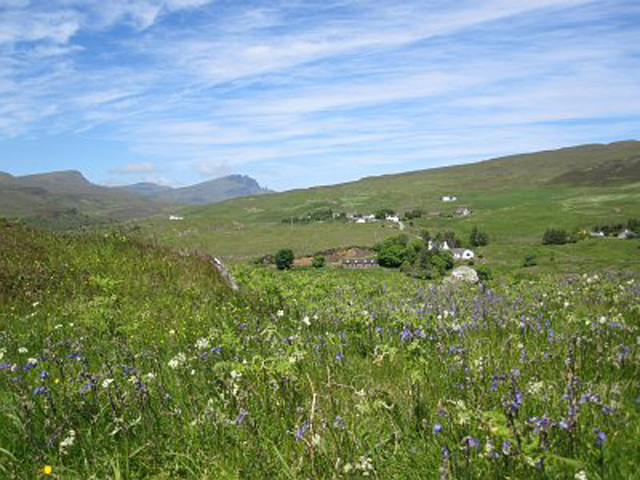 Ardrannach is situated just a few minutes drive from the pretty town of Portree on the island’s east coast. 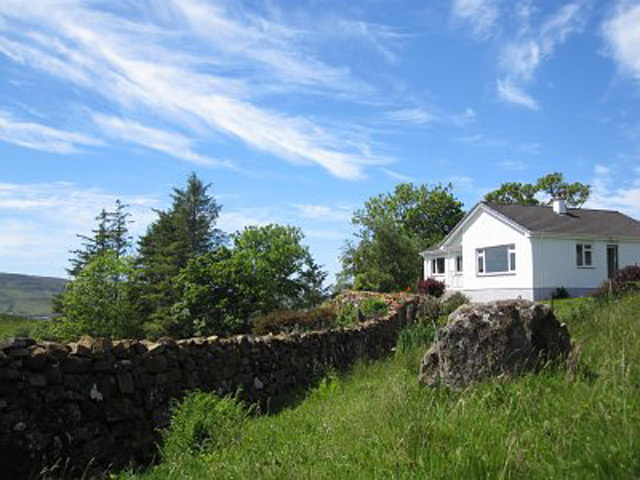 The property is situated in a quiet spot with stunning views across the surrounding hills and countryside. The property is spacious inside and is all on the one level. Facilities include a large lounge with comfortable sofas and a real fire, ideal for burning the locally sourced peat which is supplied. In addition a well equipped kitchen with separate dining area and three bedrooms, a double, a twin, and a single. A family bathroom completes the facilities. 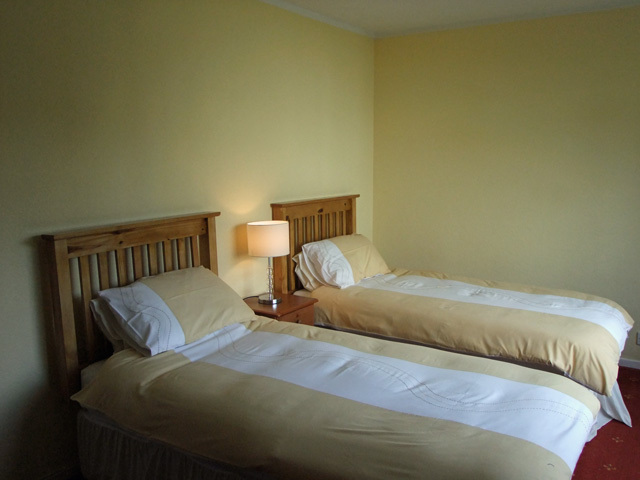 The property is warm and comfortable and is suitable for guests of all ages including those travelling with a pet. 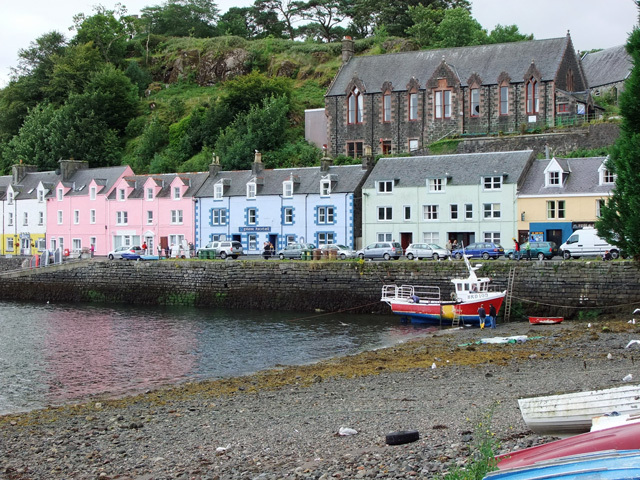 Portree itself offers a good range of small shops, cafes and restaurants. Worth a visit is the Aros Centre, this award winning attraction is home to the acclaimed RSPB Sea Eagle Exhibition and is an ideal place to purchase some of the locally produced food or crafts. The harbour with its brightly painted buildings is a great place to wander round or to enjoy a meal in the many cafes and restaurants. 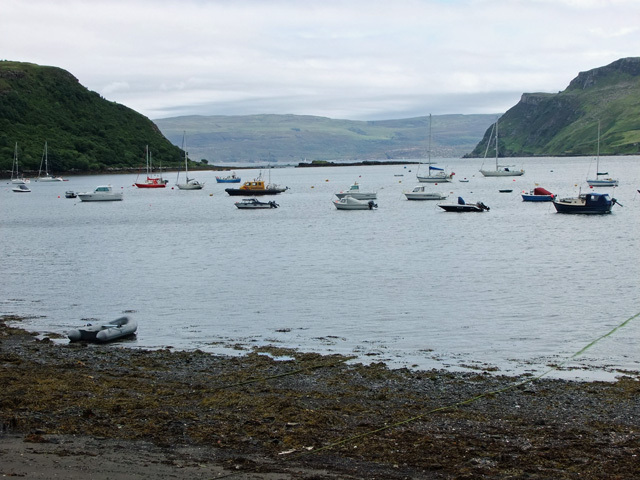 Various boats operate from the here down to the Sound of Raasay including the popular Spindrift, allowing the visitor to enjoy the fabulous views and native sea and bird life. Sea Eagles are often spotted flying close to the cottage. 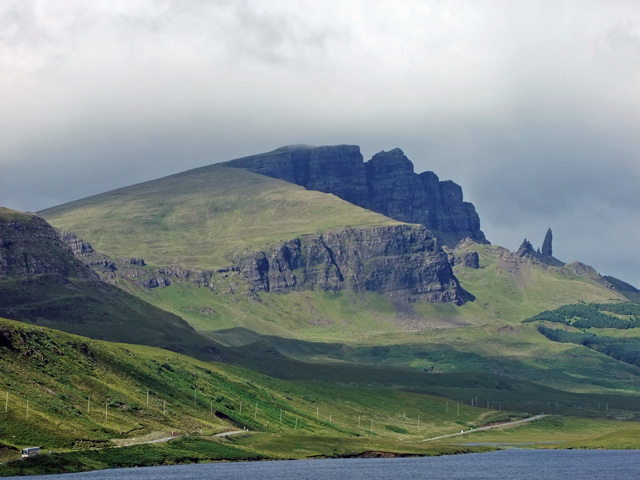 The Isle of Skye is often referred to as the “Misty Isle” and the scenery is every changing, the awe inspiring mountain peaks of the Cuillin to the coral beaches near Dunvegan being two particular favourites. 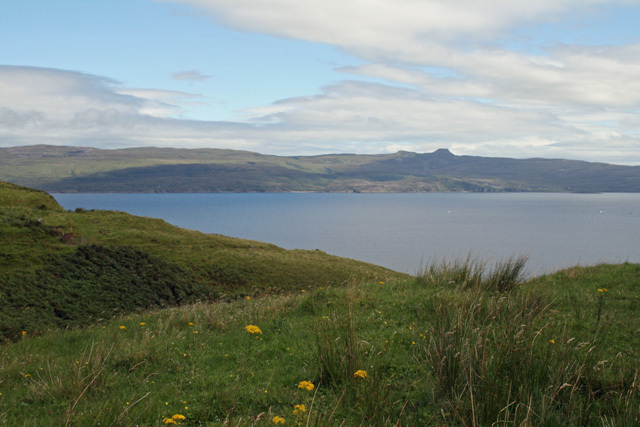 The island is steeped in history and there are many historic areas to explore including Dunvegan Castle, owned by the Chiefs of the Clan Macleod. Another couple of popular days out are visit to one of the many craft businesses on the island including Edinbane Pottery or a visit to the Talisker Distillery and Visitor Centre. 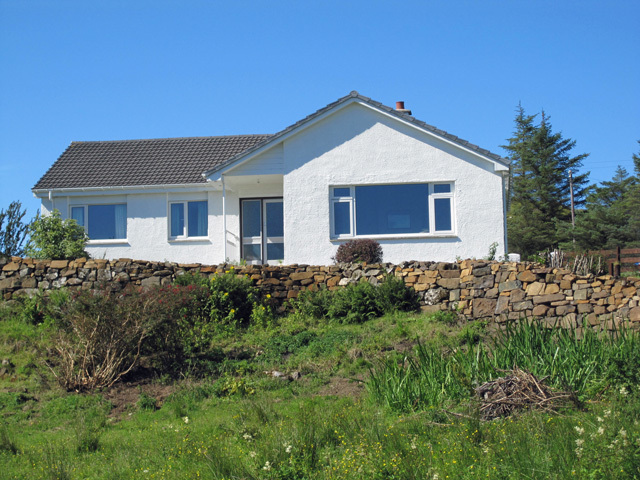 If Ardrannach is booked for the week you require we have another property Torvaig Cottage in the same location, and this may be available. The large picture window overlooking Ben Tianavaig, Cuillins and Raasay is the feature in the lounge along with the open fire. Leather sofa and chairs, Satellite TV, DVD, radio and iPod docking station. Selection of books. 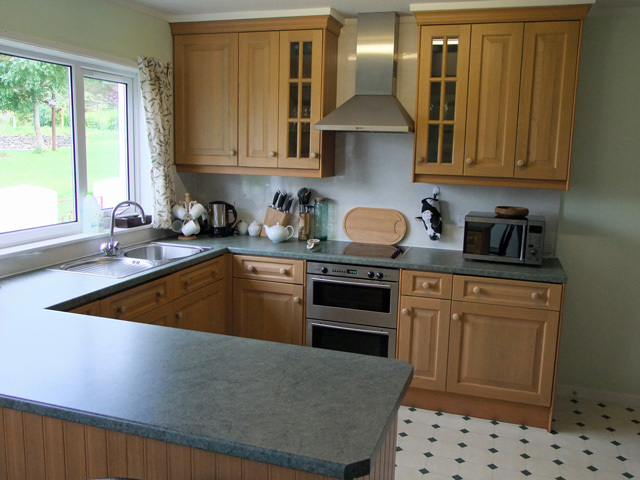 Open plan kitchen/diner, electric oven and hob, fridge, freezer, dishwasher, washing machine, microwave and all the usual kitchen equipment. Ironing facilities and both indoor and outdoor drying available. Dining area for 5 people. 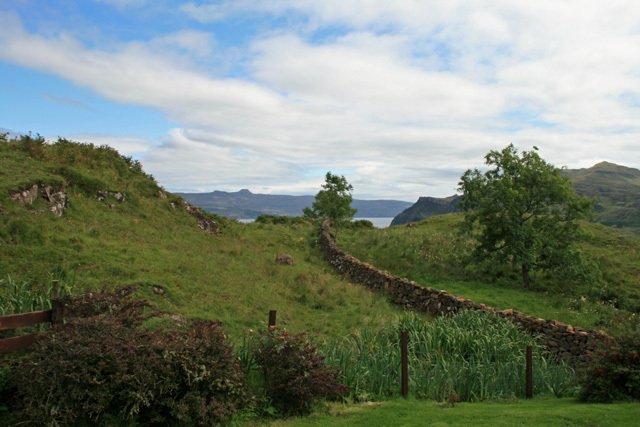 Double bedroom overlooks the garden and has views over Ben Tianavaig. Twin bedroom faces the back of the house. 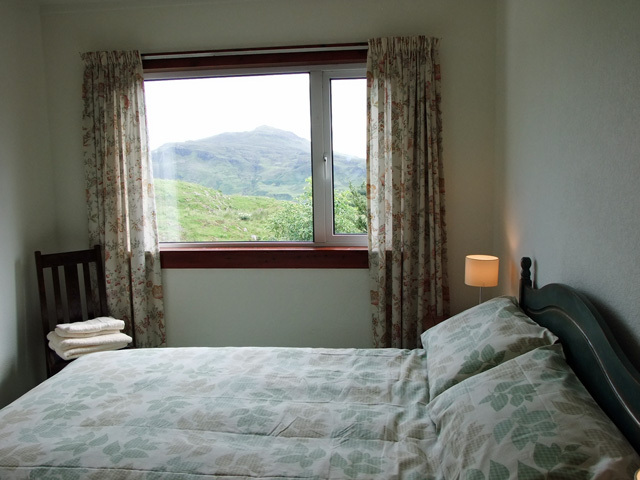 Single bedroom overlooks the garden and has views over Ben Tianavaig. Bathroom with bath and shower over, whb and wc. 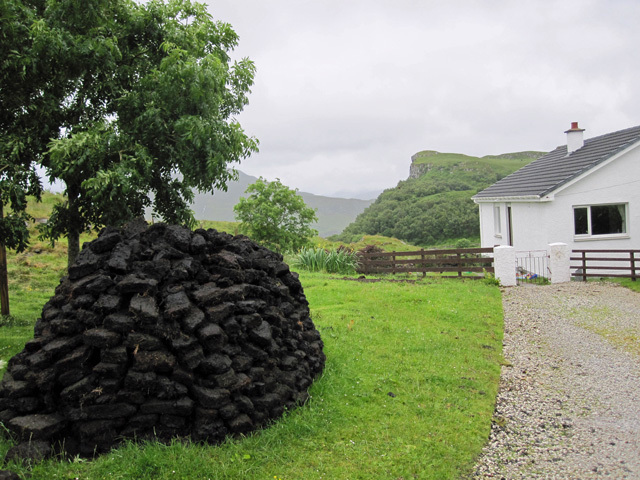 Electricity, hand cut peat for the fire. 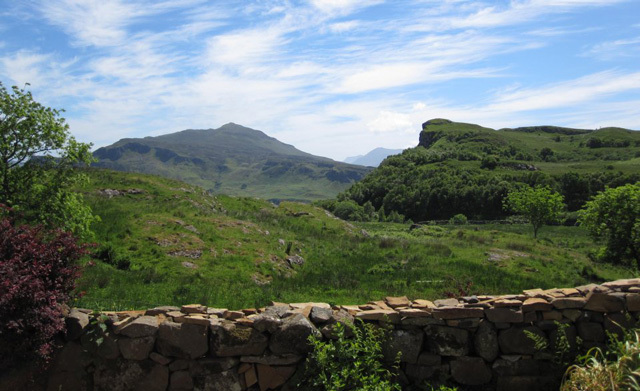 Wonderful views of Raasay, Cuillins and Ben Tianavaig. 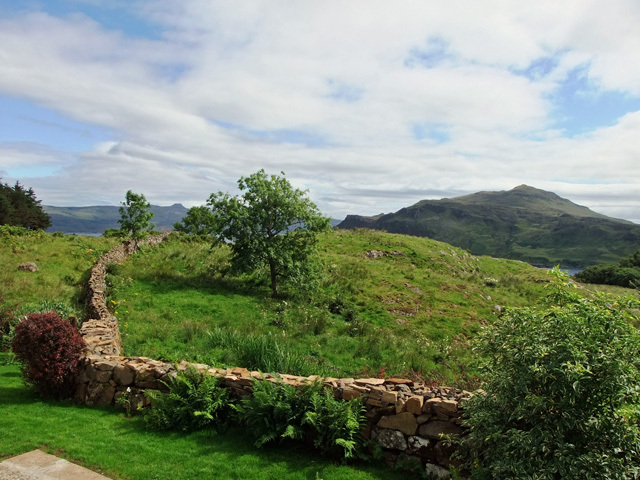 We had absolutely great stay at Ardrannach. Perfect base to explore Skye. Cottage has everything you need to enjoy your holiday. 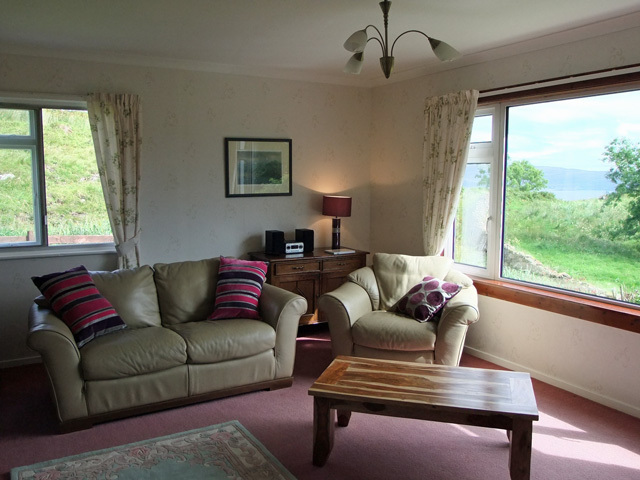 Lovely setting and views, superb views over loch and mountains. Warm and clean open peat fire and welcome pack included. 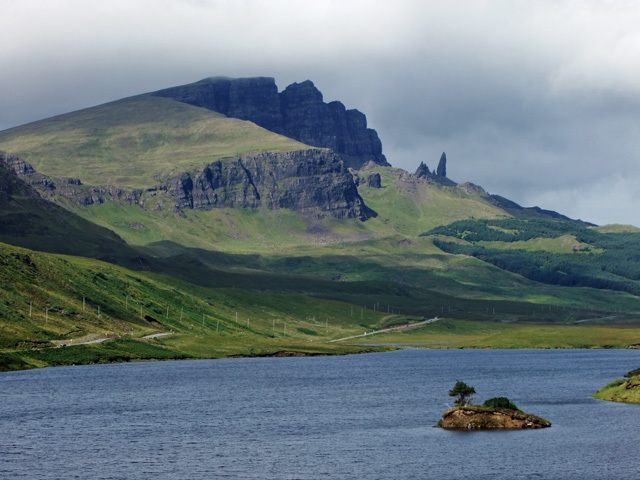 Convenient location near to Portree. We would love to return. 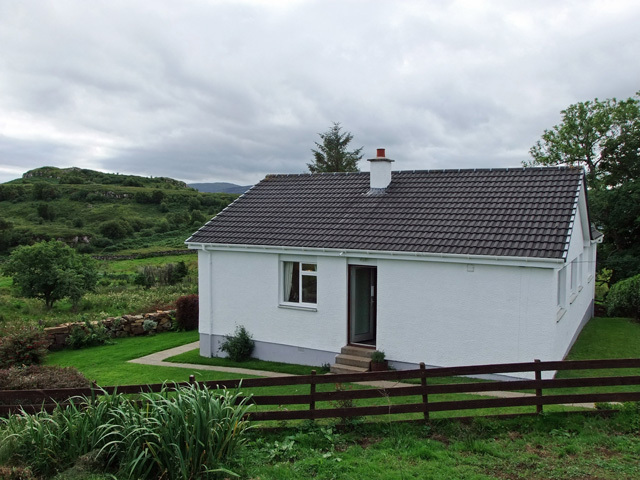 This was our second stay at Ardrannach Cottage. I have to say it was another enjoyable holiday. The cottage has everything possibly needed to make you feel at home. Will definitely stay again. Lovely cottage with amazing views in a good location. We found the cottage spacious and well equipped and would definitely stay here again when we return to Skye. There is a pleasant 15 minute (with little legs) walk into portree, either along the coast or through a wood which we did a few times. We enjoyed gazing out of the lounge window onto the isle of Raasay and Ben Tianavaig. We love this cottage. It is in a very pretty location. The cottage is well equipped and very cosy. Could move in and feel quite at home. Please see previous review for 10th Sept - 1st October as we stayed for 4 weeks. Our stay at Ardrannach on Skye was all good apart from the weather. It was very stormy, wet and windy. However our accommodation was warm, comfortable and spacious and our hosts were extremely friendly and helpful. The view from the lounge was beautiful. We love Skye and this was an ideal spot to be based. Thank you. Cottage fantastic, only two of us so we rattled around a bit. Weather was poor but it just doesn't matter when your're somewhere so nice. Good walks, boat trips etc. Well recommended. Great week at Ardrannach. Views from cottage were wonderful enhanced by unexpected good weather. Very peaceful yet still close to amenities. Great touring base. Very warm welcome from host. Ideal for my elderly father who has reduced mobility & for us as within walking distance to Portree with some super walks on the doorstep to take the dog. Will hopefully return in the future.